Greek, Etruscan, & Roman Bronzes (MFA), no. 355; Sculpture in Stone and Bronze (MFA), p. 122 (additional published references). 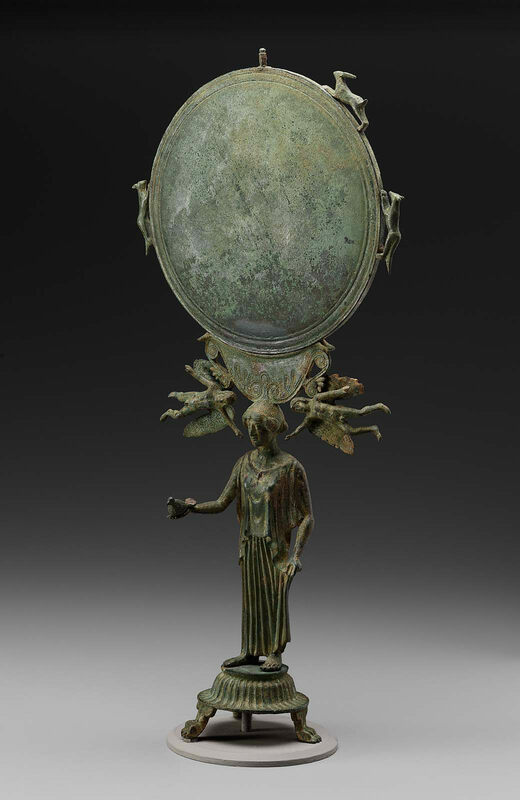 Virtually complete caryatid mirror. Aphrodite stands with spread feet on a convex base with vertical fluting and three feline legs. She wears a Doric chiton the skirt of which she raises with her left hand; she extends a dove (attached by small solder point) in her right hand. 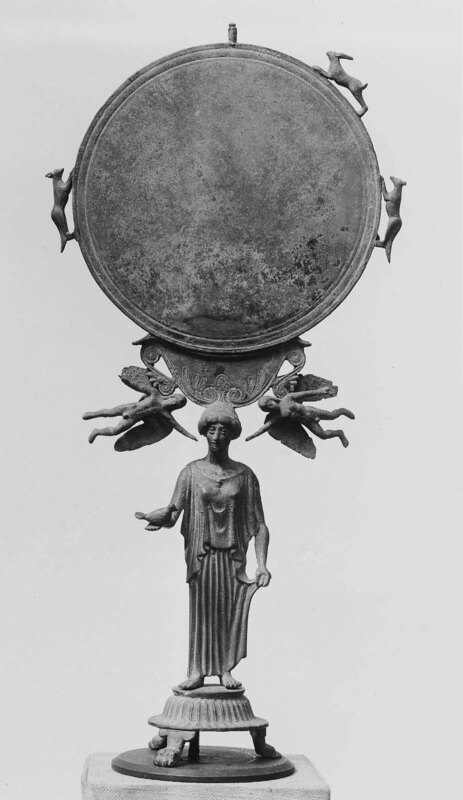 Two winged Erotes fly above her head; they are attached to the volutes at the base of the mirror On the edge of the disc are separately cast and soldered attachments: hare pursued by two (third one missing) foxes; at top, a peg with turned tip. Attributed to Corinthian or Sikyonian workshop. Caryatid mirror stands developed in Greece may be derived from Egyptian or Near Eastern prototypes. One fox on the rim is missing. Light green patina, with earth encrustation.